The Eurovan uses an electronically controlled transmission which sets shifting points based upon engine load and RPM information that is “learned” from your specific driving habits. 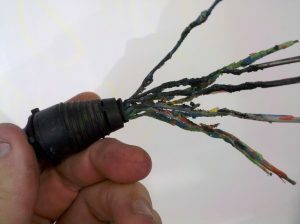 This information, which is stored in the transmission’s electronic control unit, can sometimes become garbled and may need to be reset to the default pattern, so that it will “re-learn” your driving style. 1. Turn on the ignition, without starting the engine. 2. Turn the ignition back to the off position. 3. Turn ignition on again without starting the engine and depress the accelerator all the way to the floor, holding the pedal there for a minimum of ten seconds. 4. Release the accelerator pedal and then start the engine in the regular manner. 5. Drive the vehicle making sure that the transmission shifts through all four gears.